design With a newly created chassis released with improved ventilation, but still managing to keep compact (even introducing new hardware inside) this is by FAR the best Synology design yet. A welcome improvement to the old DS916+ chassis. value This could possible be the best NAS of the year. We still have a couple of months before we can truly decide, but for this price and the HUGE amount of software and hardware option in the price threshold make it irresistible. design The two rear fans, though fully controllable, cannot be completely switched off and this may annoy some people. However any noise they make on their lowest setting is still lower than the HDD you have installed. features Although it can do many of these tasks at once, if you need to do ALL of them at once, you will need a solid Intel Xeon at the least. performance Only fault I can find is that there is no 8GB Default version available to buy, as you found with the DS918+ (8GB). If you buy this Synology DiskStation NAS and hard drives we do free build and test for the unit and hard drives. So you can use this device straight out of the box. All free of charge in DS918+ price. I am using id as photo editing storage device. Dual LAN ensures other people in the office are getting best speed possible. I use High Availability function with two of these! My business can not afford even 1 seconds downtime or service slowdown. Normally if your drive blows, it might take a day until replacement drive will be syncronised and there will be a slight slowdown of performance. If your NAS is broken, you need to slide old drive into a new unit this might take some time especially if you don't have replacement unit. With two Synologies set up in High availability mode, if one is gone other one will take over in matter of 2 milliseconds. None of the users will even notice that their data actually being served by other NAS. This is what i understand PRO stuff. 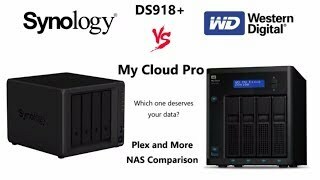 I think I must have read everything there was to read about the DS918+ from Synology before I finally settled on buying it from Worldspan complete with 16TB of WD Red Harddrives and 2 m.2 NVMEs. I watched videos on Youtube read comparison sites a plenty and it was Robbie at Nascompares who finally pointed me in the right direction to Worldspan. He said I would get reassurance and any answers to any questions that I may have and he was spot on. I finally had my new NAS delivered last week and I cannot be more pleased. I know that if I have any questions or problems I can go back to them for advice. I would recommend this route to anyone else out there looking. Overthink and then end up here! Good job fellas. DS918 8GB arrived well built, tested and good to go. Totally set up with this 918+. This is the uber 4 bay option from Synology, the support on it is excellent, fully capable of pretty much anything thrown at it, handles and runs beautifully. So so happy with the DS918+! Runs our home data, kids movies, p/t home business, the works. The Synology User Interface is very friendly, perfect for us NAS newbies. A couple of friends already have this model and their recommendation was spot on. I got it for virtual machines in my office- works great! Synology ds918+ plex works just great. This video transcoding engine really gives this extra push. Unbelievable innovation from Synology. NVME with its crazy fast speeds speed up massively internal operations. This is definitely be best selling NAS of 2018! Sure! Just add the RAM and SSD drive to your cart and we will build it and test it all free of charge. So you can be asured that you will have out of the box 100% working solution. NVMe speed is over 2000 MB/s that's more than 5 times faster than regular SSD.